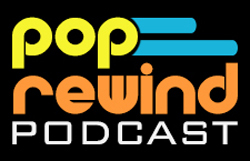 Welcome to Season Two of the Pop Rewind Podcast! We’re kicking off the new year with a slightly looser feel. And also a slightly hungrier feel as we delve into the topic of pizza: what we like, how we like it, and why Linz is wrong. Join us as we reminisce about the Pizza Hut Book It Program and learn about the BANNED Little Caesars slogan in Canada! Also discover who has the better taste in toppings. The Garfield and Friends Buddy Bears pizza topping argument starts at 5:04 in the above video. Lots of buildings these days Used to Be a Pizza Hut. Lee recommends the Aquabats song “Pizza Day”. The Google News Archive that brings us so much joy and letters to Santa. Tweet at us on Twitter @PopRewindOnline and let us know: do you say Panzerotti or Calzone? Linz is #TeamPanzerotti and Lee is correctly #TeamCalzone. You know what to do.